Black Hole Crew: Okkultokrati - Haust: New INTEGRITY show Sunday 16th of January in Oslo. ALL AGES! 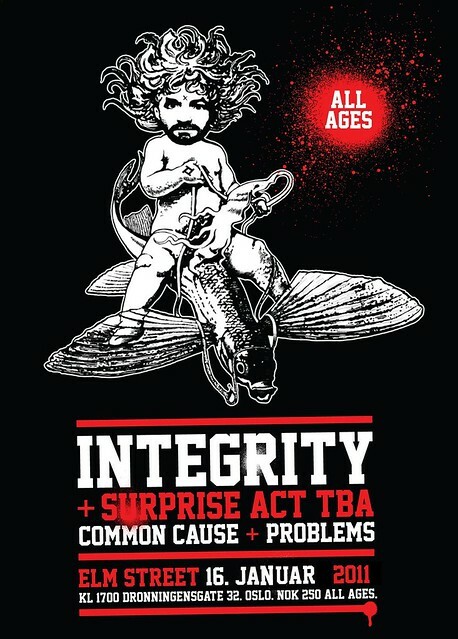 New INTEGRITY show Sunday 16th of January in Oslo. ALL AGES! The first show on Saturday sold out in 24 hours, so there will be an extra show the following day, Sunday 16th! This show will be all ages! OCHC represent + a super surprise act - not to be announced until the day of the show! Get you tickets at Elm Street this Saturday before they're gone! By the way, Okkultokrati made Darkthrone's "Band of the week"! Pretty damn cool. Thanks!